Tom Igoe is an Arts Professor at the Interactive Telecommunications Program (ITP) in the Tisch School of the Arts at New York University. He is the area head for physical computing courses, in which students learn to consider the motivations and actions of the people for whom they're designing as the foundation for physical interaction design. His research interests also include networks, lighting design, the environmental and social impacts of technology development, and monkeys. He has written four books and a number of articles related to electronics and physical interaction. He is a co-founder of Arduino, an open source microcontroller environment. He has consulted for various museums and interactive design companies as well. He hopes to visit Svalbard someday. 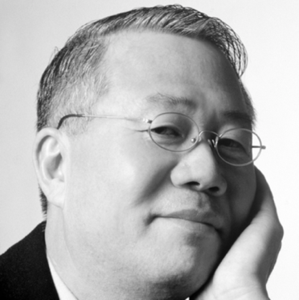 Kun-pyo LEE is Professor at the Department of Industrial Design, KAIST, South Korea and the director of the Human-Centered Interaction Design Lab for more than 30 years. He is also Dean-elected at School of Design, Hong Kong Polytechnic University and will begin to work from end of this year. He is co-founder and president emeritus of IASDR (International Association of Societies of Design Research). He also served as Chief Design Officer (Executive Vice President) of Corporate Design Center, LG Electronics. He is well known in Asia as an early pioneer in the field of design research, UX design and user-centered design, for which he was recognized as Honorary Fellow of the Design Research Society, and Local Hero at CHI 2015. After returning back to KAIST from LG with unique experiences in industry and academia he has been focusing on establishing a new design education paradigm under the name of Design 3.0 – Big, Deep and Open. 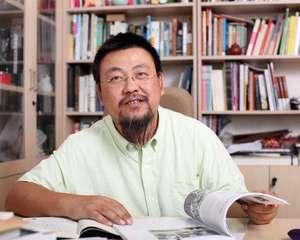 Prof. Fang Xiaofeng was graduated from the Architecture School of Tsinghua University，obtained the Doctor of the Technical Science of Architectural history and theory. He worked in Shanghai Zhongjian architectural design and Research Institute as an architect. He served as the Professor at the Department of Environmental Art Design, the PhD supervisor, the Assistant Dean of the Academy of Arts & Design at Tsinghua University, the editor in chief of Decoration magazine. Prof. Fang Xiaofeng conducted many project: the Planning for Comprehensive Management of Environment in front of Main Building of Tsinghua University, the Landscape Design in North of Broadcasting Station of Tsinghua University (Monument for Former Southwest United University) reconstruction plan of the north gate of Beijing printing banknote factory, the Plan for Design of New Leifeng Tower in Hangzhou and so on. He participated in Industrial Tourism Planning for Tangshan Mining Area of Kailuan Group, the General Planning for Art Design and Cultural Construction in Three Gorges Dam Area and other projects. He planned and participated in the production of large-scale documentary "Designed for China - 20 years overseas design" (broadcasted). His main representative works are "the Language of Wind", “Prefaces of Decoration”, "Chinese Garden Art: History, Art and Skills, and Famous Gardens Appreciation", "Royal Religious Architectures in Beijing during Qing Dynasty", "New paradigm of design research"(editor in chief), translated work " Time Saver Standards for Architectural Design Data"(main interpreter) and so on. He is the winner of 2007 Academic Newcomer Award of Tsinghua University, and his book "the Language of Wind" was honored as the most beautiful book of China in 2007. Prof. Lim is an associate professor at the Department of Industrial Design KAIST, South Korea. Before she joined KAIST, she was an assistant professor at School of Informatics and Computing in Indiana University, Bloomington, US. She received her Ph.D. at the Institute of Design at the Illinois Institute of Technology (IIT) in Chicago, Illinois, and holds a Master of Design (M.Des.) in Human-centered Design from the same university. She holds a B.S. in Industrial Design from KAIST. She has been participating in service activities as a general co-chair, a technical program co-chair, a paper co-chair, an organizing committee member, and a program committee member for major top international conferences in the areas of HCI and Design such as DIS, CHI, UbiComp, DRS, and IASDR. She is also an editorial board member of internationally well-known HCI journals including Human-Computer Interaction, Foundations and Trends in HCI, and Journal of Visual Language and Computing. Her research interests include experience-centered design and aesthetics of interaction as well as prototyping in interaction design especially for creative interaction design and smart/AI-enabled products/services in the domains of CHI, DIS, UbiComp and CSCW. She is a recipient of the 2009 Microsoft Research New Faculty Award by Microsoft Research Asia (MSRA). Dr. Amit Zoran is a Senior Lecturer at the School of Computer Science at The Hebrew University of Jerusalem, studying human-computer interaction, with an emphasis on creativity and design. Dr. Zoran works with “design hybrids” – meaning, the relation between traditional crafts and computer works, in computerized design with handcrafts, and their cultural, symbolic, psychological and social contexts. Dr. Zoran brings contexts that are external and different to computer science. His Hybrid Lab includes a combination of kitchen, craft workshop, and advanced computer stations. Having a background in both computer engineering and industrial design, in his research Zoran connects traditional design practices (i.e., craft) to human-computer interaction. For more than 10 years, he has developed hybrid design systems that merge craft and digital practices, exploring the divergent realms of emerging computational design technologies and traditional hand-hewn skills. Zoran has co-authored 29 publications in peer-reviewed journals, book chapters, and ACM top HCI conferences. At CHI he has received a Best Paper Award for a paper covering his PhD research presenting a smart hand-held carving device, one of the first smart hand-held devices published in HCI, and a CHI Honorable Mention Award for a 3D-printed joinery system to enhance traditional carpentry. His paper Hybrid reAssemblage has been the tenth most-read papers in MIT Press Leonardo Journal for the last five years. As one of the leading HCI researchers in the field of digital fabrication, Zoran has contributed a vast body of work regarding hybrid design and smart tools, and recently extended his research to anthropology and cognitive science, looking for a wider understanding of human creative style and the impact of cultural setting on people’s creativity. Prof. Hoorn holds two PhD degrees from the Vrije Universiteit Amsterdam, one in General and Comparative Literature and the other one in Computer Science. Prof. Hoorn has worked in five different schools including Humanities, Psychology, Computer Science, Life Science, and Social Science at the Vrije Universiteit Amsterdam. From 2007 to 2012, he was the Managing Director of the research institute, Center of Advanced Media Research Amsterdam (CAMeRA). He was the co-founder of THNK, an international top school for creative leadership and the founding father of the Social Robotics Pop-up Lab for co-designing social robots with academia, industry, arts, and societal partners. Central themes in Prof. Hoorn’s work are the study of creativity and virtuality to design emotionally intelligent agents, conversational AI, and social robots. Prof. Hoorn started his research in the Humanities, focusing on fictional characters. After he joined Computer Science of Vrije University Amsterdam, he ventured into avatars and game characters. After implementing a number of cognitive models in artificial systems, he turned to social robots as the universal interface between the digital and the analogue world. At PolyU, he will further the Robot Brain Server, handling data, data security, AI, and Cloud for the robot to be a safe and trustworthy confidante to its user. 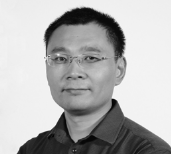 Dr. Xiaodong He is the Deputy Managing Director of JD AI Research, and Head of the Deep learning, NLP and Speech Lab. He is also an Affiliate Professor at the University of Washington (Seattle). 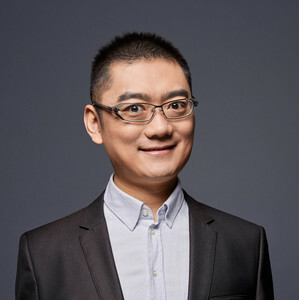 His research interests are mainly in artificial intelligence areas including deep learning, natural language, speech, information retrieval, computer vision and multimodal intelligence. His work includes DSSM/C-DSSM (Deep Structured Semantic Models), HAN (Hierarchical Attention Networks), Caption Bot, Drawing Bot. Dr. He also served as the Chair of the IEEE Seattle Section, associate editor/guest editor/action editor of IEEE and ACL journals, and organization committee member or area chair of major conferences. Before joining JD.com, He was the Principal Researcher and Research Manager of the DLTC at Microsoft Research, Redmond, USA. Dr. He holds BS from Tsinghua University (Beijing), MS from CAS and PhD from the University of Missouri – Columbia. Nolwenn Maudet is an interaction designer and a design researcher at the Tokyo Design Lab, a joint project between the Royal College of Art and the University of Tokyo. Trained as a designer at Ecole Boulle, in Paris, she obtained her PhD in Human-Computer Interaction from the University of Paris-Saclay and INRIA, the french Institute for Research in Computer Science. As a design researcher, she studies how designers work: either with their digital tools, but also with other professions, including developers and scientists. 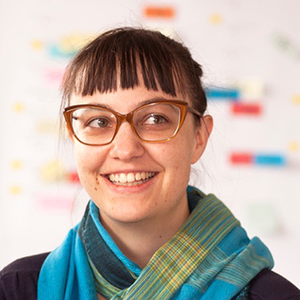 As a designer, she is creating tools to support designers, either digital tools for graphic or interaction designers, but also design methods and frameworks to support design/science collaboration. 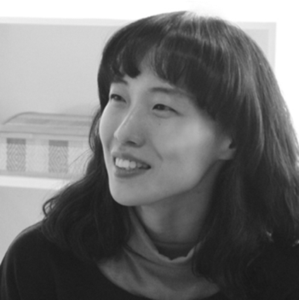 As a JSPS Post-Doctoral fellow at the Tokyo Design Lab, her goal is to establish new design methods to support meaningful collaborations between designers and scientists as well as establishing a design research network in Japan. Beyond her personal design research work, she is also advocating for strengthening the relationship between design practice and design research. She has been president of the francophone association for young design research for two years as well as the co-program chair for the IxDA Interaction 18 conference, one of the main interaction design conference, attended by more than 1000 participants in Lyon this year. 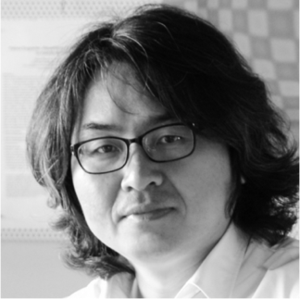 Tek-Jin Nam is a professor and the head of Industrial Design department at KAIST. He received a B.S. and a M.S. in Industrial Design from KAIST, and a PhD in Design Technology from Brunel University. He leads Co. design: Interaction Design Research Laboratory at KAIST. He is the deputy editor-in-chief of Archives of Design Research journal, and an executive board member of IASDR(International Association of Societies of Design Research). His main teaching subjects include interaction prototyping, interactive product design, system design and design research issues. His research interests lie at design oriented human computer interaction, focusing on creating people centric values of future products and services and systematic approached to creative design and innovation. He is also interested in integrating design research and practice. 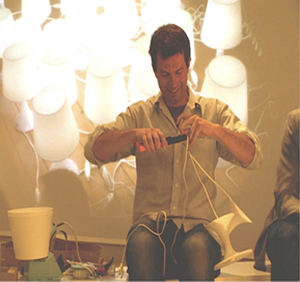 Peter Scupelli is Associate Professor in Design, Chair of the Environments Track, and Director of the Learning Environments Lab in the School of Design at Carnegie Mellon University. He teaches both undergraduate and graduate level design courses in the environments track, futures, and interaction design. He holds a Ph.D. in Human-Computer Interaction, M.S. in HCI, M.Des. in Interaction Design, and an undergraduate Architecture degree. His work with A12 was exhibited in the Architecture Biennial of Venice; PS1-MOMA, New York; the São Paulo Contemporary Art Biennial; the ZKM museum of Karlsruhe, Germany and many other places. Fu Zhiyong, Ph.D., Associate Professor of Information Art Design Department Academy of Arts and Design, Tsinghua University, Beijing, China. Director of Tsinghua Service Design Institute,He has served as the Secretary-General in Information & Interaction Design Committee (IIDC) since 2014, The Vice President of The International Chinese Association of Human-computer Interaction（ICACHI）, Academic Director of Academic Director of Tsinghua Technology Innovation and Entrepreneurship，Director of Art and Technology Innovation Base of Tsinghua University. During January to April 1998, he was a visiting professor of Kansei Evaluation special research project at Tsukuba University, Japan. And he is a recipient of the National Award for New Century Excellent Talents (2006). During August 2008 to August 2009, He was a visiting scholar in school of design at Carnegie Mellon University, USA. He teaches both undergraduate and postgraduate levels courses in interaction design, service design, design and technology entrepreneurship lab, design thinking and future urban innovation practice. His research focuses on smart products and design tools, human-centered cities and service design, and undertakes a number of national projects and overseas cooperation projects. 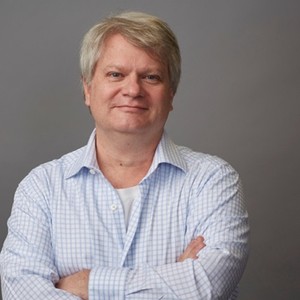 He has served as Associate Chair of the ACM CHI 2014 and 2017, 2018 Design Subcommittee, and board member of the HCI International 2012-2019 Cross-Culture Design Sub-committee. Luping Xu is the founding director of Open FIESTA Center and deputy director of Center for Nano and Micro Mechanics (CNMM) of Tsinghua University, China. After learning and interdisciplinary training in the field of systems biology and micro and nano biotechnology, Luping get his B.Sc. (2002) and Ph.D. (2008) from Peking University, China. Sponsored by AXA Post-Doc fellowship, Luping started his Post-Doc research since 2008 at Institut National de la Santé Et de la Recherche Médicale (INSERM) and Université Paris Descartes, France, and worked with Prof. Francois Taddei at Center for Research and Interdisciplinarity (CRI) on micro and nano biotechnology and quantitative systems biology. Since 2012, Luping Xu turned back to China and started to work at Tsinghua University. As deeply motivated to foster paradigm change for future innovation and education, Luping Xu has been engaged in a series of international education reform programs. Since 2008, Luping Xu and Francois Taddei co-created Wiser-U, an international NPO to promote the idea of University 2.0, where a global network of researchers and innovation leaders is made to support next generations to carry out ‘learning by doing’ and ‘learning by creating’ methods towards future innovative change makers. After taking the position at Tsinghua University, Luping has been continuing on the pioneering work of education reform and leading the development of several pilot programs, such as the Open Wisdom Lab (OWL) and the XIN center of Tsinghua University. In 2015, Luping Xu initiated the collaboration between Tsinghua University and CRI and built a Franco-Chinese joint program called the Open Faculty for Innovation, Education, Science, Technology and Art (Open FIESTA). The mission of Open FIESTA is to foster international joint effort to collectively explore, develop and share new methods and technologies of future education, to nurture next generation global change makers by an interdisciplinary challenge-oriented learning pedagogy, and to co-establish new paradigms of future university (e.g. global challenge-oriented university). 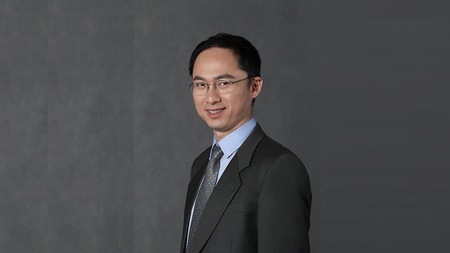 Luping Xu is also a co-leader of the Tsien’s Excellence in Education Program (TEEP), and a member of the innovation education committee of Tsinghua University. 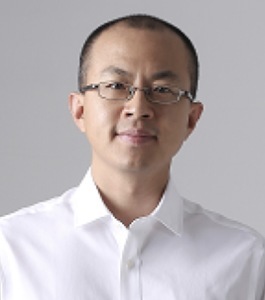 Being an active practitioner and evangelist in user experience design and research since 1998, Mr. John Woo founded Google China's UX team (the first Google UX team for outside of US) in 2006, Sinovation Ventures’ UX team in 2010 and INWAY Design in 2012; co-founded China's first commercial real estate big-data platform FangCheng.cn in 2014 and a fintech company WealthBetter.com in 2016. He returned to Sinovation Ventures as VP of AI Institute in 2017, leading AI product design, AI Challenger Global AI Contest and DeeCamp AI Training Program. He has helped a couple of hundreds of startups and established companies to shape or improve products and services. His conference speeches, university courses, corporate training, media columns, and book publication are popular across both industry and academia. 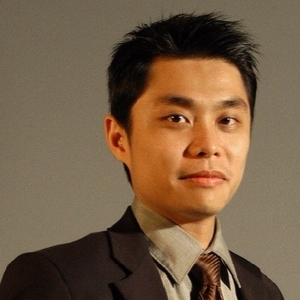 He also has some international and Chinese patents on product and user experience design. He is among the committee members of professional organizations such as China Information and Interaction Design Committee, China Internet and Future Society Research Institute, IXDC, and Beijing Service Design Committee. Giving courses on user experience design and product innovation, he’s listed as an expert of the industry leader training programs run by Ministry of Industry and Information Technology of China, and by Ministry of Culture of China. Graduated from Tsinghua University and Tongji University, he also serves as guest professor at CUC and BUPT, and graduate student instructor at CUC, BIFT, CNU and Jiangnan University. 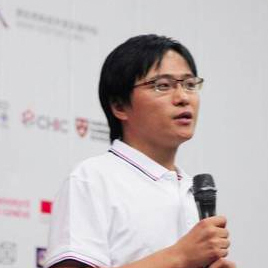 He gives lectures at universities such as Tsinghua, Peking, CAFA, Tongji and etc.He devotes himself to bridging design and technology, and to making a better world. Daniel Saakes was trained as an industrial design engineer at Delft University of Technology and he likes making things and making things that make things. Before joining the Industrial Design department at KAIST, he has been active at ID Studiolab, MIT Media Lab, Keio University, Japan Science and Technology Agency, University of Tokyo and Umea Institute of Design. Su Jun, the Ph. D. of the Art of Design at Tsinghua University, the visiting scholar at University of Washington, the regional director of China in Korea Asia Pacific Design Association, the director of Beijing Original Design Promotion Association(BODA), the executive director of the greater China area of International Design Federation (IDF). He served as the dean, the associate professor and the master's supervisor at the Department of Industrial Design at North China University of Technology(NCUT). Professor Chih-Yung Aaron CHIU is now a full professor in Department of Fine Arts at National Taiwan Normal University. He received his PhD from School of Interdisciplinary Arts at Ohio University in USA, with double major in visual arts (painting, sculpture and architecture) and film studies (film aesthetics, theories and criticism), as well as a minor in aesthetics (phenomenology). Prof. Chiu is the inspector of Digital Art Foundation Taipei, and the Director-general of Taiwan Arts and Technology Association. In the past few years, Prof. Chiu was the Dean of Division of Culture and Creativity, and the Programme Director of Media Arts and Design at BNU-HKBU United International College (UIC), he has also participated in many curatorial works including IP EXPO Exhibition, 2015-16 Taiwan Digital Art Festival – Trend, 7th, 8th, 9th and 10th Taipei Digital Art Festivals, the 4th Digital Performing Art Festival, and also many international exhibitions and festivals worldwide including Hong Kong, Boston and Madrid. Prof. Chiu is also a prolific writer. His articles titled “On the Embodied Aesthetics of Digital Arts” (2007) and “Inter/face: A Reconsideration of Myth of Transparency” (2008) have been nominated by Digital Art Awards Taipei. His most recent publication titled “Significant Discourse and Local Practice: New Media Art in Taiwan’s Context” (2012) has become one of the most important texts in New Media Art in Taiwan’s academia. 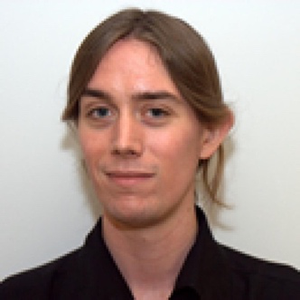 William Odom is an Assistant Professor in the School of Interactive Arts and Technology at Simon Fraser University in Vancouver, Canada. He leads a range of projects themed within slowness, temporality, and, more generally, the development of new methods for the practice of Research-through-Design. His work has received numerous best paper and honorable mention awards at ACM conferences including CHI, DIS, and Ubicomp, as well as a silver international design excellence award (IDEA) from the Industrial Designers Society of America. He holds a Ph.D. in Human-Computer Interaction from Carnegie Mellon University, and was previously a Fulbright Scholar in Australia, a Banting Fellow in Canada, and a Design United Research Fellow in the Eindhoven, Netherlands. 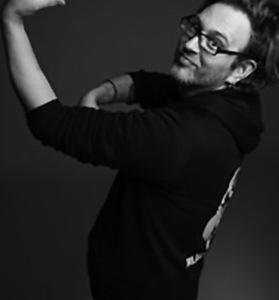 Benjamin Bacon is the co-founder of DOGMA Lab, a cross-disciplinary media and design consultancy based in Shanghai. He previously held the title of Assistant Professor of Computational and Media Design and was also the former Director of the undergraduate Design + Technology program at Parsons School of Design in New York City. Additionally he has held professorships at several top ranking international Universities such as New York University Shanghai where he was an Assistant Professor of Art and Professor of Computational and Media Design at Shanghai Institute of Visual Art. His sound, computational and installation art has been exhibited or performed internationally in the USA, Europe, Asia and Middle East, including but not limited to the Chelsea Art Museum (NYC), Media Arts Festival (Shenzhen), China Academy of Art (Shanghai), Red Town Sculpture Space (Shanghai), BYOB (Shanghai), Ho Gallery (NYC), Central Academy of Fine Arts (Beijing), BJDW (Beijing), TransLife (Beijing), Synthetic Times (Beijing), Code: Blue (Beijing), Plug-In (Switzerland), SDJ Gallery (NYC), and GDC (Shenzhen). He was a visiting researcher at Nokia Research Center (Beijing), a foreign expert at Shanghai Institute of Visual Arts (Shanghai) and implemented a game design curriculum called Activate! at Dandelion Middle School (Beijing) with support from the AMD Foundation. He was a judge for the SGDA - GDC (Shenzhen), the 1st Annual US-China Young Maker Competition (Beijing). He has lectured at many prestigious institutions and events such as TEDxNingbo, Alibaba UED UCANN Conference, Lumeries Conference (Shanghai), to name a few. SOUNDSPADE is his performance name for his music, sound art and DJ projects. He is the founder of VOLTAGE DIVIDER, a series of live music, interactive media events that explore different experimental and avant-garde musical styles and non-traditional production methods and he is also the co-creator of BLACK EYELINER. In 1994 he formed DIES IRAE ! US with fellow confidant Jonathan Ford (Dissociate) and performed at festivals such as Wave Gothik Treffen in Leipzig, Germany. Throughout the 1990’s and 2000’s he DJ’d and performed live at various venues in North America, Europe and Asia. Kenny K. N. Chow is an Associate Professor at School of Design, The Hong Kong Polytechnic University. 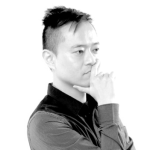 He is currently Specialism Leader of Master of Design (Interaction Design) and Program Leader of Bachelor of Arts (Honors) Interactive Media.Chow received a Ph.D. in Digital Media from the Georgia Institute of Technology U.S.A., an M.F.A. from the City University of Hong Kong, an M.Sc. and a B.Sc. from the University of Hong Kong. His current research focuses on embodied cognition approaches to understanding influences of technology on people’s emotion, imagination, and behavior. He has papers published in International Journal of Design, International Journal of Mental Health and Addiction, Multimedia Technologies and Interaction, Interacting with Computers, Information Design Journal, Leonardo, Animation: An Interdisciplinary Journal, as well as conference proceedings including Persuasive Technology, Designing Interactive Systems, Tangible, Embedded, and Embodied Interaction, Creativity and Cognition, International Design and Emotion Conference, International Association of Societies of Design Research Conference, and others. He also has book chapters in Language and the Creative Mind (The University of Chicago Press) and Japanese Animation: East Asian Perspectives (University Press of Mississippi and Hong Kong University Press).Chow’s book Animation, Embodiment, and Digital Media: Human Experience of Technological Liveliness (2013) published by Palgrave Macmillan integrates embodied cognition ideas from cognitive science with interpretative approaches to digital media and phenomenological approaches to interaction design, discussing how today’s animated interface phenomena transform the ways we think, feel, and play. Chow was Program Chair (together with Teresa Cerratto-Pargman and William Odom) of the 2018 ACM Designing Interactive Systems Conference, which received 645 submissions for Papers and Notes, Pictorials, Workshops, Provocations and Work-in-Progress, Doctoral Consortium Submissions, and Demos. The proceedings included 117 papers/notes/pictorials in 28 sessions plus a companion volume.Before joining academia, Chow has had extensive working experience in film, animation, broadcast, and multimedia productions.